1. 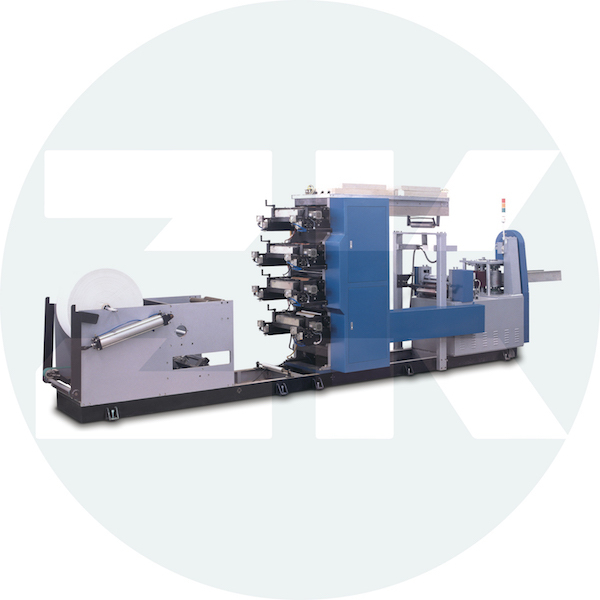 The machine is applied with the packing type of wrapping, folding and sealing. 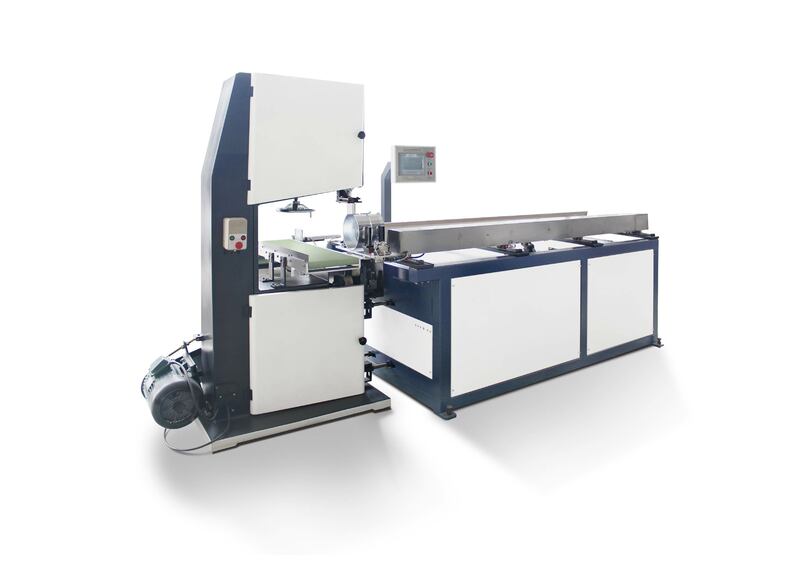 It has the character of a tight structure, beautiful package and sealing. 2. 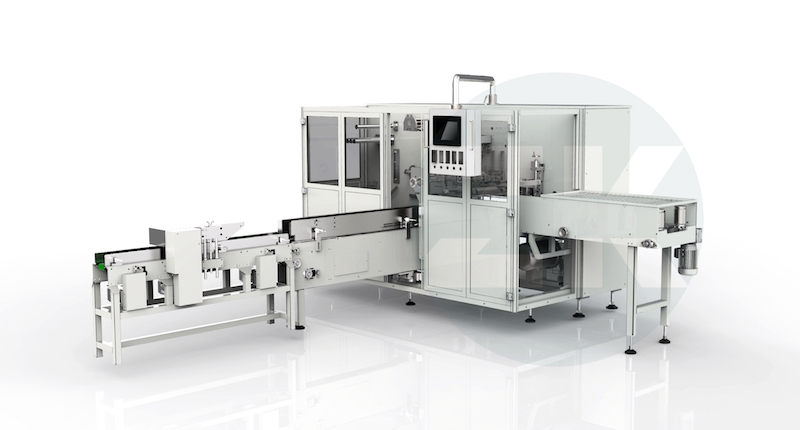 The machine is controlled by a touch screen and the integrated controller. 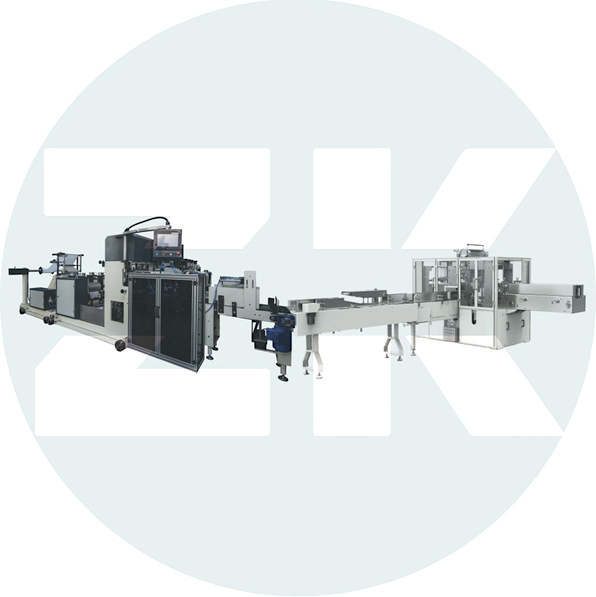 It has clear human machine interface and is easy for maintenance. 3. 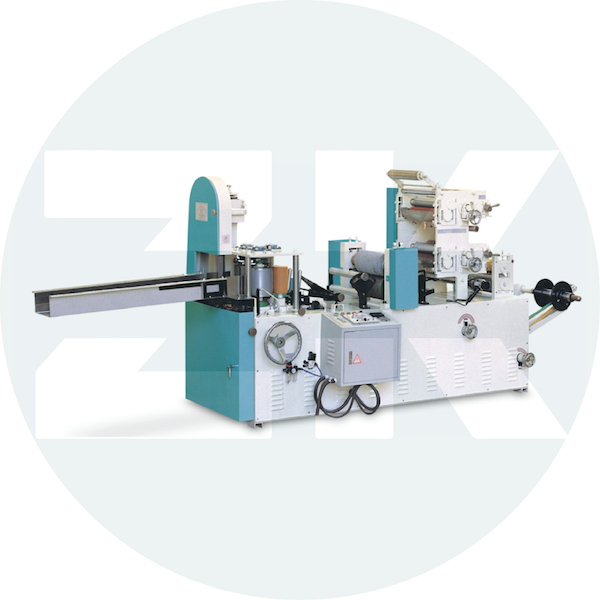 The Napkin Packing Machine is applied with automatic material managing tailstock to connect with the automatic production line in order to save the labor cost. 4. 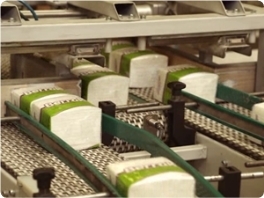 The photoelectric eye can automatically detect the film to make sure it will not move without a tissue in order to save the packing film. 5. 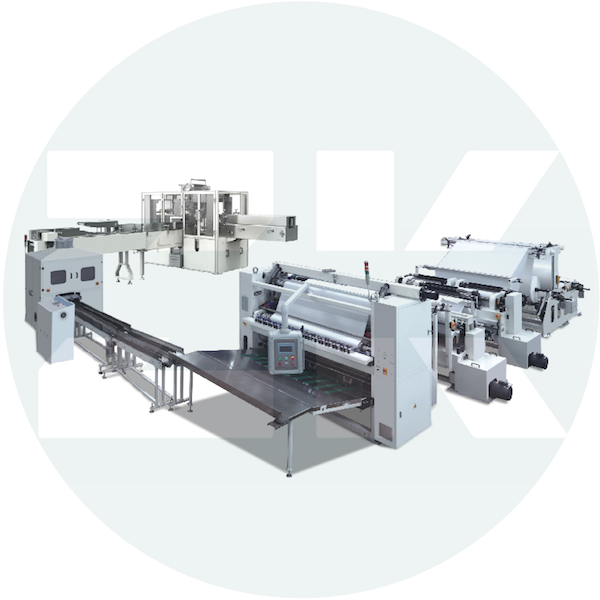 It has a high degree of automation, a high production efficiency and a low fault rate. 6. 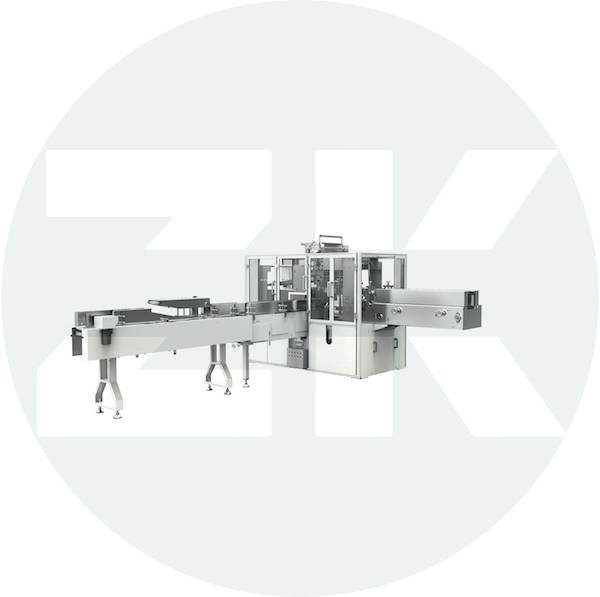 The packing machine has a wide packaging range; different specifications can be changed rapidly. 7. 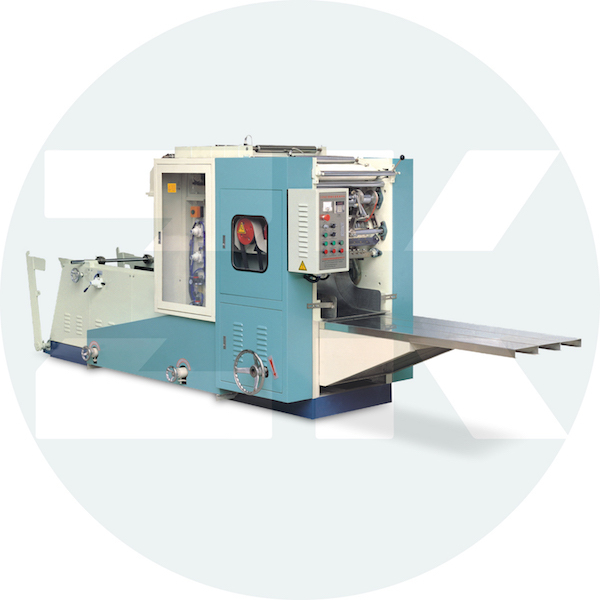 There are pneumatic and rolling cut types for tearing mechanism and two kinds of a control system (stepper motor and servo motor) for choosing. 8. 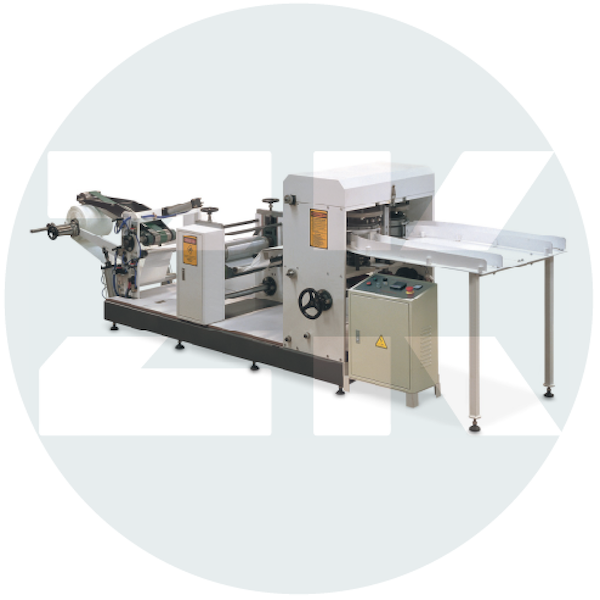 It is easy to apply perforation on the bags according to the user specifications.